Configuration is very simple. Make sure the device has IPMI or ESX credentials set. After that, the device will be queried and the status of all hardware components will be shown. Place a check box next to any component for the value you want to be alerted on. You can be alerted if the status is OK, Warning or Error. You can also be alerted if the status value changes. 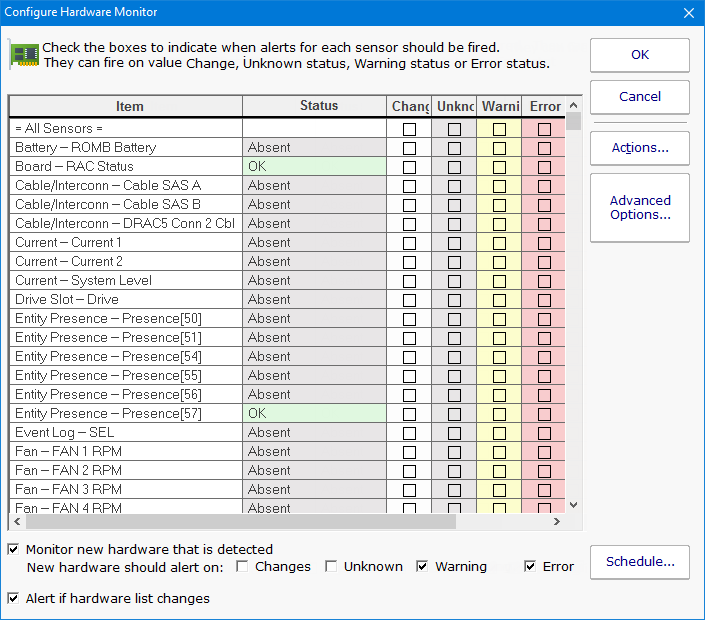 At the bottom of the monitor you can indicate what should happen if the list of hardware components changes. This might indicate hardware is being added or removed from a system.